Every year, our lineup includes covers in the popular “World Folk Patterns” series, which features motifs from all over the world. This year, our focus turns to Toile de Jouy, a type of copper-plate printed fabric originating in Jouy-en-Josas, a town on the outskirts of the Palace of Versailles. Toile de Jouy enjoyed immense popularity in 18th century France, with notable patrons such as Marie Antoinette and Napoleon. This versatile fabric is still in play, adorning anything from dresses, curtains, bed linens, and even used as wallpaper over the years. 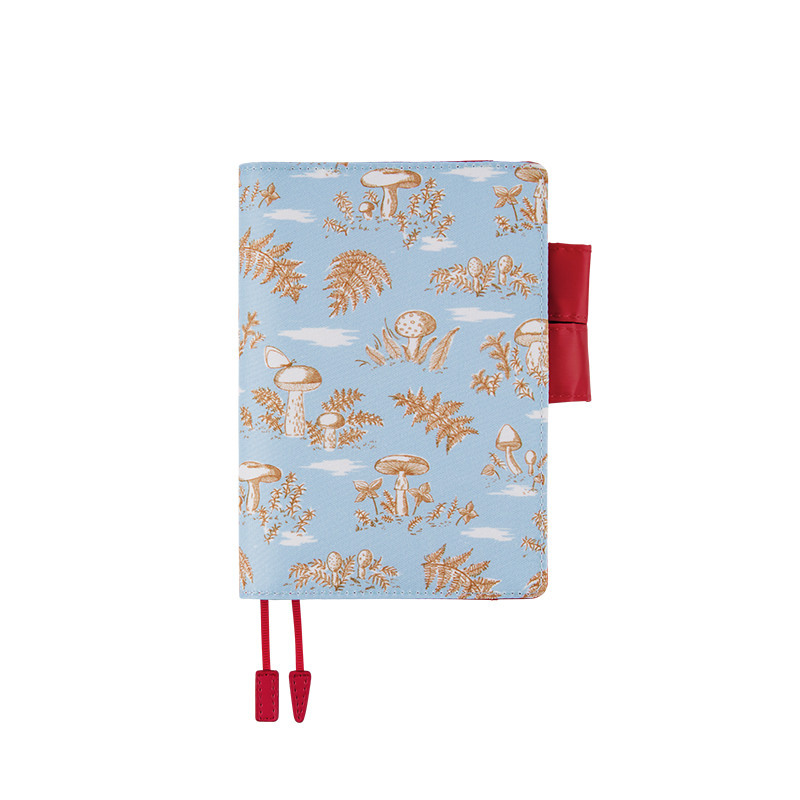 The Champignon motif was chosen by Masako Kusakabe, the designer who has directed the World Folk Patterns covers since its inception. The detailed, complex vignettes of this pattern showcase the characteristic features of Toile de Jouy. We chose a lustrous red that evokes the tricolor of the French flag for the pen holder and interior. W: 117 x H: 165 x T: 20 mm / W: 4.6" x H: 6.5" x T: 0.8"
-Information listed in the book is current as of September 2018. -Era names are not listed. -The names of dates relating to the Japanese emperor and the accession of the new emperor, including April 30th, May 1st, May 2nd, and October 22nd, will not be listed in the calendars. -Information listed in the book is current as of February 2018. Each item is individually assembled and sewn by hand by a factory worker. Best efforts are made to ensure consistent sizes and specifications, but there may be slight differences. This material is first printed or dyed and then later sewn onto the cover. While colors are designed to be consistent, there may be uneven coloring or slight shade variances between covers. This may also happen across a single cover, such as a pocket compared to the rest of the cover. In addition, on rare occasions, there may be small black or white dots visible on the print. This is an unavoidable aspect of the manufacturing process. When this cover is open flat, exterior stitching areas may appear puckered and lining material may be loose. 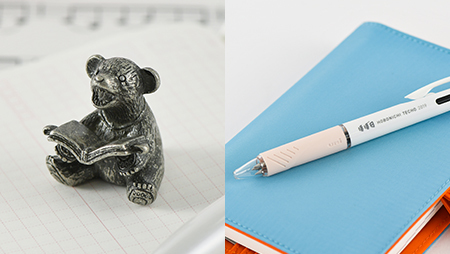 The pen holder is designed to perfectly fit the 12.2 mm (0.48”) diameter Jetstream pen offered as a free bonus gift with select Japanese-version Hobonichi Web Shop products. Pens with certain shapes and materials may be difficult to pull through the holder. The holder can fit pens up to 13.5 mm (0.53”) in diameter. Please avoid storing your product in hot, humid places or placing it atop other objects for long periods of time as this may result in lower quality and color stains.